Data current as of 2331 g.e. Short: OTAT - a guild, as all evidence and eye-witnesses claim. 2 Why should you join? 3 We have the honor to present you the Ober Beer! The name of our founding father is covered by Mist of Intoxication, although the Legend explains, that once upon a time in a place called Beerburgh was a hero who during the glorious moment of Consumption realized how hard it was to get a good drink these days. Then, after passing through several hardships the Founder managed to accomplish the task he was instructed by his God. And, dear random reader, this is how our reverend guild started its never ending struggle to make heroes' life more enjoyable. The Headquarters of the Ober Tour And Travel guild. Oh wait, this one's copyrighted, isn't it? Nevermind. Are you short on time and money? Are you thirsty of new adventures and beer? Do you have a strong desire to gather gold and then spend it all on The Golden Liquid? Is your favorite town called Beerburgh? If you answered "yes" at least once, this is a place for you! Our highly trained mercenaries never fail on battlefield! Our mercenaries know all taverns across Godville! Our mercenaries are well paid! Our mercenaries are potentially the best wanderers, for their beer bellies act as a countermeasure to long-term dehydration! "Hey, STOP RIGHT HERE, Mr Author! Who do you think we are to believe this propaganda?!" Oh no, please! I've been paid to write it. After all, who would like to read 'bout a bunch of drunken, violent, room-temperature IQ "heroes", whose greatest achievements are drinking 50 beer mugs in a row? Highly unoriginal, to say the least. So, take a seat, again, and let me finish what I started. All right. Where were we? Ah yes, you should join us, for we are the best! 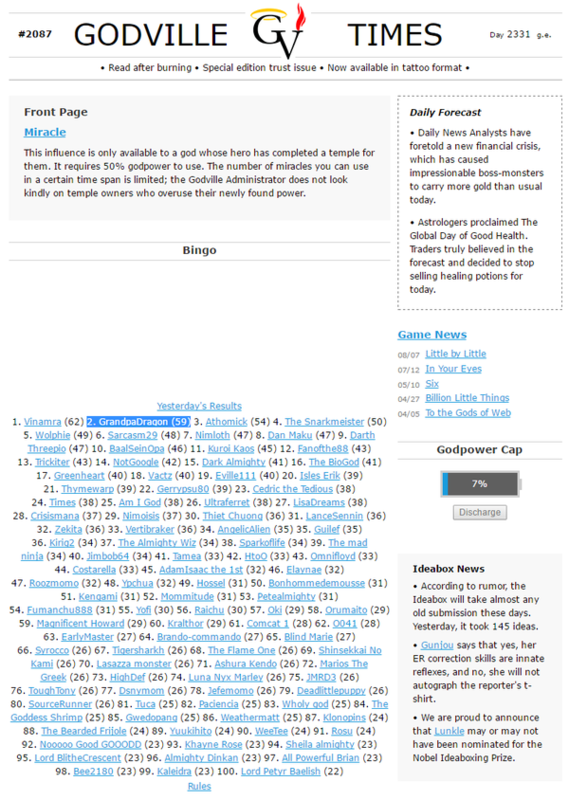 Specific instructions for joining a guild and many other actions may be found in Godwiki under "Voice of God". We have the honor to present you the Ober Beer! An ULTIMATELY, ALL-POWERFUL mix of rum, vodka and coca-cola (highly protected secret). Brace yourselves, for it gives kicks like hell! Our courageous scientists were working on that baby days and nights to satisfy even the most fussy heroes! That's right, no more too weak beverages! 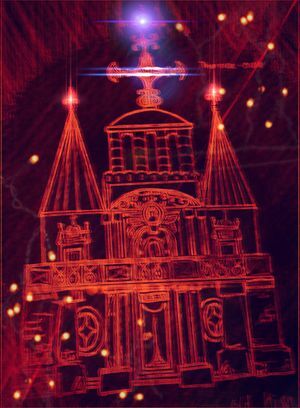 Take a sip of Ober Beer and I promise you that the next morning you will wake up at the Russian side of Godville! I was just created, existing all alone in this world. Through all the sands I walked, beating beasts one by one while ignoring my health. I tripped and fell, and gave up all hope. With no companions, I was sure I'd perish alone. Then I saw Terence Tullius. He offered me his hand and pulled me up. He then told me, "Why not join my guild?" The members of the guild welcomed me, and I felt, for the first time, the warmth of friendship. As one of the newer members, I am still finding my place in the guild. I have new guild members and still find myself at odds with finding a purpose that I am exceptionally fit for. There have been ups and downs in my search for my calling, but throughout it all, the OTAT members have been amazingly supportive. That, I believe, is the best part of it. They are my friends, and they accept me for my oddities and wackiness. I'd go as far as to say they are my family. My misfit family. I've always wanted a Grandpa. I have one in OTAT xD. 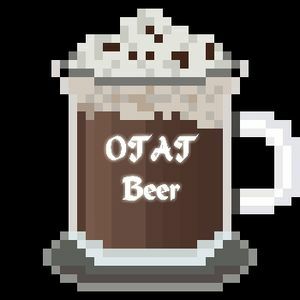 I joined OTAT after hearing about the ober beer, and have made great drinking buddies ever since joining :) our friday bbq's are my favorite nights to drink with my wonderful friends at OTAT! So... I'm a high ranking member in the guild... Mainly because most of the people above me just dropped out. I like the guild I'm in... And that's saying something :-P The members are kind and, importantly, active. We share laughs and beer of course (But seriously don't ever visit during happy hours, it's a bloody nightmare). 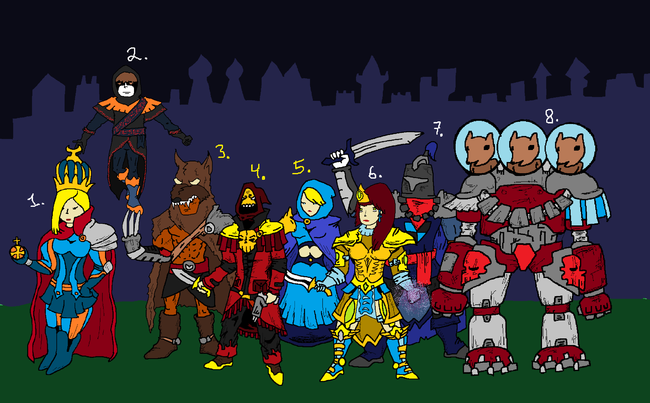 Here is the list of the Heroes and their Gods from the picture above. 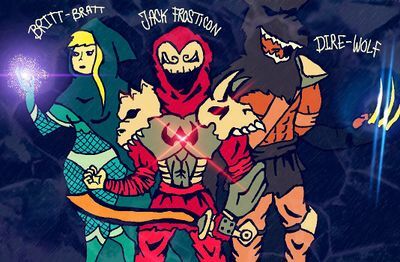 At first, this guild was kept alive due to the effort of a few active members. Then, after some time, all have agreed to form a bit more official "government". Elections were held and the new guild's main representative emerged - Phexides 庙畜 (since 2331 g.e.) - elected by agreement between all the members. Phexides says that he and his friends enjoy sitting in the air conditioned Enhancement Room. Oh yes, and improving ideas. That too. Godville Times, day 2300 g.e. According to reports, honored ER contributor Phexides makes everything better. Especially new ideas. Godville Times, day 2275 g.e. Phexides says that yes, his ER correction skills are innate reflexes, and no, he will not autograph the reporter's t-shirt. Godville Times, day 2268 g.e. Having lost his limbo stick, GrandpaDragon is making the most of his imagination. Godville Times, day 2250 g.e. Congratulations to GrandpaDragon 庙 for achieving 2nd place in GvT's Bingo! My weapon is glowing blue. A tavern must be nearby. To see premium content, you have to buy a very cheap DLC at the price of 119,99€. Check our store! ↑ The biggest ever... yet. ↑ Or fathers, or mother/s. We actually don't know. ↑ Question: "Why it's so blurry?!" ; Answer: "Our grand artist was drunken during painting it, duh. No more stupid questions from now on, OK? ↑ Disclaimer: Reaching high rank required. Cannon fodders get nothing except for potentially lethal injuries. We warned you. This page was last edited on 2 June 2018, at 23:46.